The $99 Nexus tablet has been a dream for many of us, and now it finally seems we are close to getting it. The Asus ME172V is said to be the next mass super-affordable tablet and now it has appeared in retailers’ listings with its full specs and what looks like official images. There are a few slight details - the Asus ME172V won’t be of the Nexus brand, instead it would just be a regular Android tablet by Asus. And the $99 price will actually be more like $129 to $149 (make this €129 to €149 for Europe). Still, it looks like a thing that will sell like hotcakes. 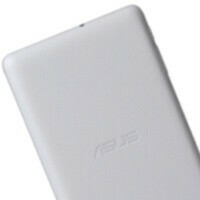 The ME172V will be a 7-inch tablet that will bear close resemblance to the Nexus 7 in terms of looks and design. It will come in either black or white, and will be offered in a Wi-Fi-only version, no 3G/4G cellular connectivity model is expected. We also know that it will be built out of “simple” materials (our guess is good ol’ plastic), but still have an excellent price to quality ratio. Finally, here is what you’ve all been waiting for, the leaked specs and pictures. Both TN and IPS are TFT. Thanks for your expert opinion but you have no idea what you're talking about. Twisted nematic and in plane switching. A big reason why I use a TV for a computer monitor. and asus will take the cake in budget tabs once again! I just wish it was a dual core processor. The RK3066 seems pretty affordable yet powerful. Same with the Novathor 9540 and up. Much more powerful and usable. edit: Would love to throw this in a car dash like that one guy with the N7. However at $130-$150, I wouldn't ever feel the need to take it out. Question is, does it have micro-sd? I cant tell from the pics. mm, not bad. it'll probably have ASUS's custom UI which isn't a bad thing but it's another differentiator from the N7.